A couple of weeks ago we had really cold snap so what better way to beat the blues was to sit in front of the fire with my little bucket of copics and colour! I am also entering this in CAS-ual Friday as theme for this week was 'text'. 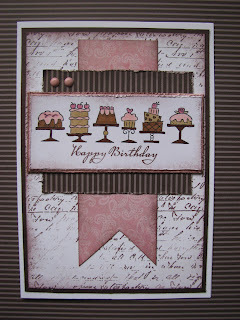 I have used the Birthday bakery stamp set from Stampin' Up! and the script is a Kaiser craft stamp. The paper are My Minds Eye and Stampin' Up!. Well I will go and see if I can put any more to use. I love pinks and chocs together! Love that image too - yummo. Great card. Love all the images and the text bg! Wonderful use of the sketch! Thanks for playing at I Spy! This is super sweet! Your coloring is amazing! Thanks so much for playing with us at CAS-ual Fridays! We're so glad you did! What a "sweet" vintage birtday card...lovely:)!! Thanks for being a part of the challenge this week at CAS-ual Fridays:)!! 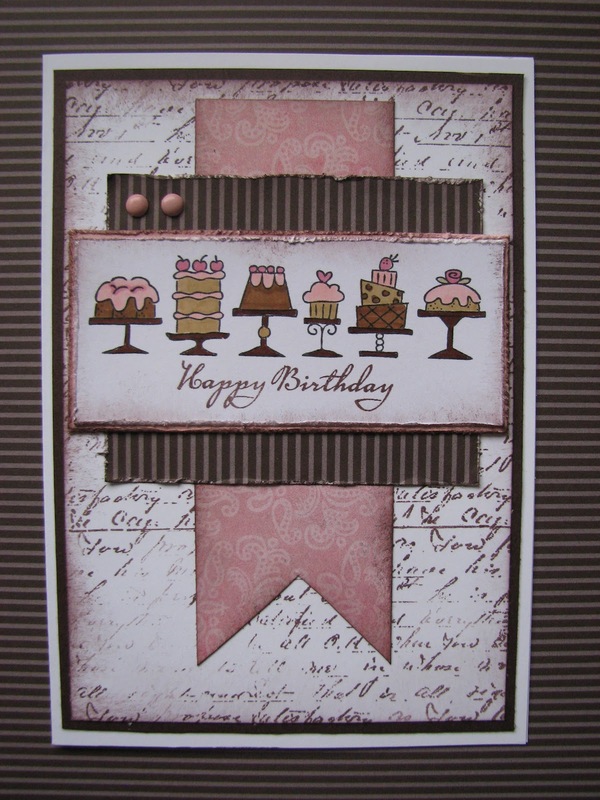 Love the pink and brown together with your image full of cakey goodness! Thanks for playing along this week over at iSpy Sketches!